Did you know that the famous “Dirty Dozen” from the legendary movie was actually the “Filthy Thirteen” in real life in World War II? John “Jack” Agnew, one of the members of the “Filthy 13”–the legendary Army united, which operated behind enemy lines during WII and which inspired “The Dirty Dozen”–passed away on Thursday. The Irish immigrant to the U.S. was 88. 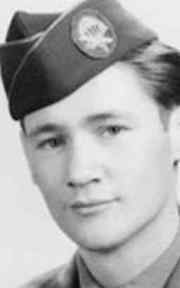 Agnew was a paratrooper who served on a demolition team with the 101st Airborne Division that dropped into Normandy on D-Day. He later saw action in Holland and Belgium, suffering a shrapnel wound in the arm. [His daughter, Barbara] Maloney said during her father’s time in Belgium, her father joined the Pathfinders. The Special Forces unit was responsible for bringing supplies into Bastogne during the Battle of Bulge. . . . Trained to demolish enemy targets behind the lines, they were known for being on a bit on the unkempt side and sported Mohawk haircuts and painted faces when they jumped into battle. They had a reputation for living and fighting hard, but weren’t condemned criminals, a poetic license Hollywood made up for its storyline. . . .
Agnew also trained with members of the Band of Brothers Easy Company, whose heroics became a book and a popular TV miniseries. Earning a Purple Heart, several Bronze Stars and other awards, Agnew was the oldest living member of the National Rifle Association after joining the organization in 1938. . . .
Maloney is thankful . . . he lived long enough to recently reunite with some old war buddies. After the war, Agnew became an installer for electric companies. A true American hero. John “Jack” Agnew, Rest In Peace. I’ll share this with the other guys here at the Old Soldiers’ Home. Everyday many more heroes of WW2 pass away. What did the vast majority of these riflemen, cooks, truck drivers and sailors do to male them true heroes? Come home, marry, raise children, attend cgurch, pay taxes and left the counrty a better place. I’m sorry that this generation is tearing down all the good they built. May they all rest in peace and forgive us. My Dad was a proud “Screaming Eagle” who never spoke of the horrors of war. My Dad (SFC) always spoke highly of his fellow soldiers. One of his stories could have been about John (Jack) Agnew, I salute you! May you rest in peace. God Bless you Jack Agnew, begin anew in Heaven. Mr Agnew was a true hero-not just for his war story, though that is certainly not something to be overlooked. He was a man that lived each day and made every person he spoke to feel like they were important. He was a hero in every aspect of his life, and I know God blessed me by allowing me to have a relationship with him as I grew up. Thank you Mr. Agnew I am going to miss you. You are a hero, you’re whole life. “Band Of Brothers” was devastating on bluray-too real, too heartbraking. 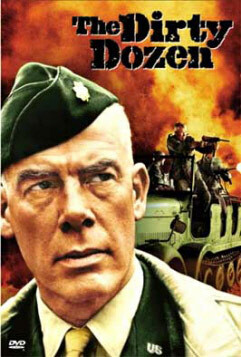 I had no idea that “The Dirty Dozen” was based on actual soldiers. Before my father passed away he told me some stories of his WWII exploits not revealed until now. He told me that he sorely missed all his war buddies and will happily be joining them reminiscing about the “Good Ole Days”. He also said he felt sorry for me having to experience the bleak future which he said he will gladly miss. Hats off to all the heros past and present.